Rene Descartes is commonly portrayed as a strict rationalist, a philosopher who theorized a radical, unresolvable split between mind and body. In this long-overdue examination of the role of imagination in Descartes's thought, Dennis Sepper reveals a Descartes quite different from the usual dualistic portrayals and offers a critical reconception of the genesis and nature of the philosopher's thought. 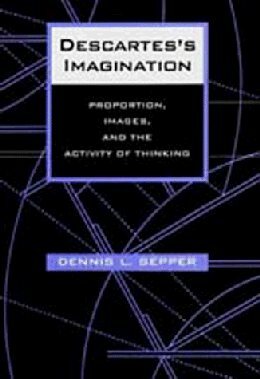 In a vigorous analysis of the less-known early works, Sepper finds that initially Descartes assigned the imagination a central role in the mind's activity. Plato was a Greek philosopher and mathematician of the Classic Age who founded the Academy of Athens. He has distinguished himself as one of the founders of Western philosophy by recording the teachings of his master and his own philosophies. Contents: Some Philosophical Distinctions; Theories - Initial Notes; Notes on Knowledge; Generic Size Theory; Numbers and Counting; Numeration Systems; Theory of Numbers; Arithmetic; Other Numbers; Infinite Sizes; Measurement; Additive Scales; etc.